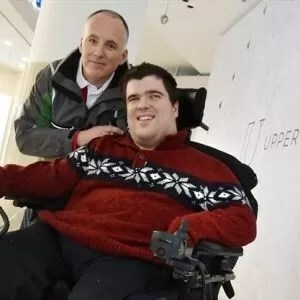 Derek Bunn and Tyler Barker have made it their mission to get children, adults and seniors living with a severe disability off public washroom floors. Bunn, a special-education teacher from Sutton, often takes his students on field trips to Newmarket’s Upper Canada Mall. The outings help the students gain valuable life skills such as working with a budget, shopping, social skills and more. 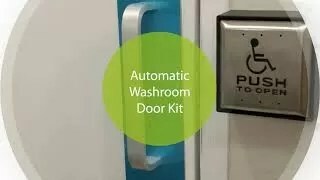 Many of those he is responsible for do not have the ability to use a traditional washroom and require changing throughout the course of the day. Barker, an Aurora resident living with a disability himself, said it is a little undignified to have to be on the floor. 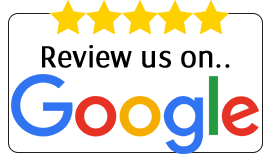 It also puts the safety of the person and the caregiver at risk since the caregiver is lifting the person from their chair to the floor and back into the chair. For many, this is the reason they choose not to go to a public venue such as a mall or movie theatre, because the amenities they need are not offered. It can become very isolating, said Barker. Bunn was a member of the community group that advocated for support from York Region municipalities so Stouffville could obtain a fully accessible washroom trailer to be used for spring, summer and fall outdoor events. He felt if he was successful once, he could do it again. Bunn wondered if there just weren’t enough people who need a specialized washroom to make it a priority, or rather it was people just aren’t aware of the need. 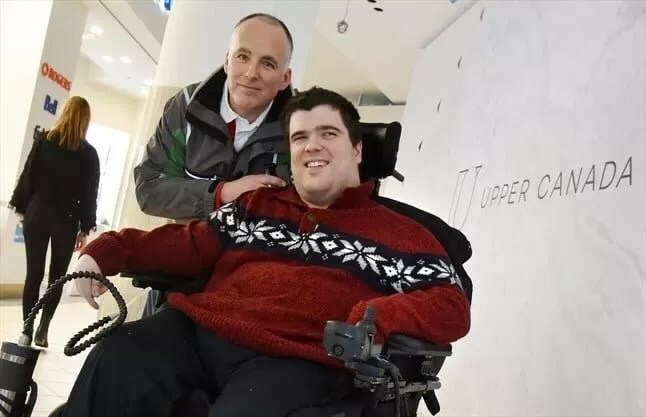 Bunn enlisted the help of Barker, and the advocates started a petition to bring awareness about the lack of fully accessible washrooms in public spaces and to encourage the Upper Canada Mall to include such an amenity in its $60-million redesign currently underway. “It’s such an easy fix, especially when many of these public spaces are undergoing upgrading or renovations,” he added. The online petition posted at Change.org features a written explanation, photos and videos. 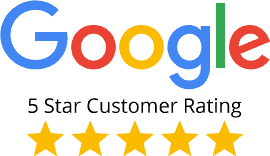 While the organizers only aimed to get a few thousand signatures to make their point, it now has close to 25,000, accompanied by personal comments of experiences and about basic human rights. Bunn and Barker met with representatives of the mall, including the vice-president of Oxford Properties, to discuss the need for such a washroom and how it would benefit patrons of the mall. Upper Canada Mall is undergoing a major renovation, which includes a washroom on the upper level. The goal will be to have the washroom complete, with a change table and lift by 2019. In the meantime, Cosentini confirmed the mall is exploring temporary measures that will accommodate this need until the new, fully-accessible washroom is complete. Oxford Properties will also be looking at adding these washrooms at other facilities it owns. Bunn is hoping that the actions of Upper Canada Mall will set an example for other public venues across the region, including other malls and movie theatres. While Bunn and Barker plan to continue to advocate locally for children, adults and seniors living with severe physical disabilities, there is a larger piece of the puzzle that needs to be addressed, according to Bunn. The Accessibility for Ontarians with Disabilities Act (AODA), which was passed in 2005, develops, implements and enforces accessibility standards, including an accessibility compliance list for the private and public sectors. Bunn and Barker say it is time to update the policy.